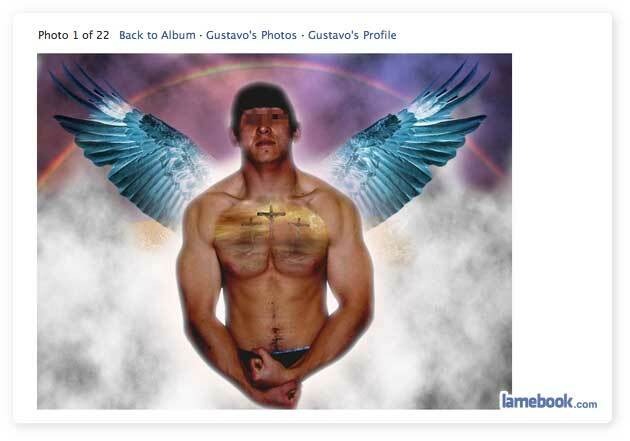 Gustavo: the legless bible-thumping angel. It really bothers me that the teacher didn’t put quotation marks at the end. Dear Gustavo, what’s that in your right hand? That is not a field of Jesuses-on-a-cross. That would be Jesus and the two thieves that he was crucified with. @theaxman – Then you obviously don’t know the story of Jesus’ crucifixion. Read it and the tattoo will make sense. Oops, didn’t mean to direct that at theaxman, was directed to the one above. My mistake. I guess I know even less about Christianity than I care to know, which is not a whole lot to begin with. My bad. Correction, I know the history stuff, just not much about the Bible or the actual story. Wasn’t raised in a religious family. He was crucified alongside Dimas and Gestas, two thieves. I was raised in one of the most religious countries. @ #3, I was totally going to say that! That was the first thing I noticed. 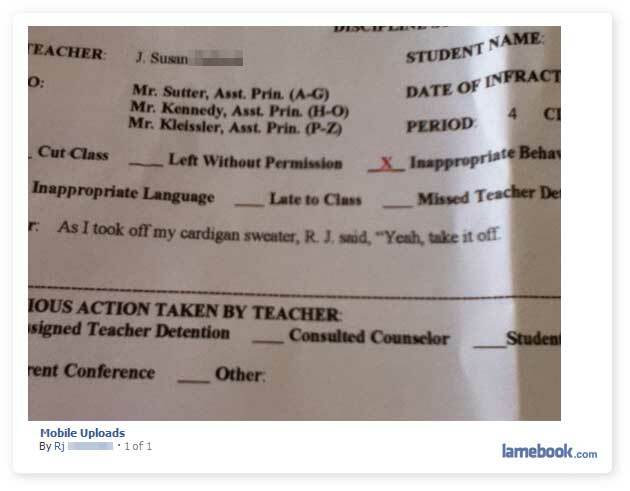 BAD teacher! BAD!! @Hawkbit – Thank you, Captain Obvious.